Egg whites are high in protein, with 3.6g in an egg white. Egg whites also contain a variety of vitamins and minerals that help to support your overall health. Egg whites are the clear liquid within the egg that surrounds the yellow yolk. This is made from secretions from the hen's oviduct when the egg is passed. This section will form regardless of whether or not the egg is fertilized. Egg whites are designed to help protect the yolk from damage and provide nutrition as the embryo within the egg grows. This substance is approximately 90 percent water and 10 percent dissolved proteins such as globulins, albumins and mucoproteins. While the yolk is very high in fat, egg whites have almost no fat at all and less than 1 percent carbs. They have as much as 50 percent of all the protein in the egg, making them a very healthy food source. There is more protein in the egg whites than any other nutrients. The average large egg contains around 3.6 grams of protein, and around 85 percent of the egg white's calories come from this protein. One egg white contains around 5 percent of your daily protein requirement for those that follow a standard 2000 calorie diet. Egg whites have all of the amino acids necessary to maintain your diet, allowing your body to create now protein in the cell so you can create new tissue. The protein can also be used to help maintain your nervous system function. There are around 40 different types of protein in egg whites. There are also many different types of vitamins and minerals in addition to glucose. Trace amounts of phosphorus, calcium, zinc, iron, copper, potassium and magnesium can be found in egg whites. Vitamins A, B, D, E and K can also be found in egg whites. Protein. There are around 3.6g of protein in egg whites and the essential amino acids people must get from food sources. You should aim to ensure that 10 percent of your daily calories come from protein sources. Low calorie. A boiled egg white only contains approximately 17 calories, while a whole egg contains 72. Those that are trying to lose weight can prepare egg dishes with egg whites instead of whole eggs and still get all the essential nutrients from the dish without a great deal of added calories. Low cholesterol and fat. A whole egg contains around 5g of fat, 1.6g grams of which is saturated fat. Egg whites only have trace amounts of fat with no saturated fat at all. Egg yolks have around 185mg of cholesterol while egg whites do not contain any. People who have been diagnosed with high cholesterol or have been prescribed medication to help lower their cholesterol should not get more than 200mg of cholesterol in their diet each day. 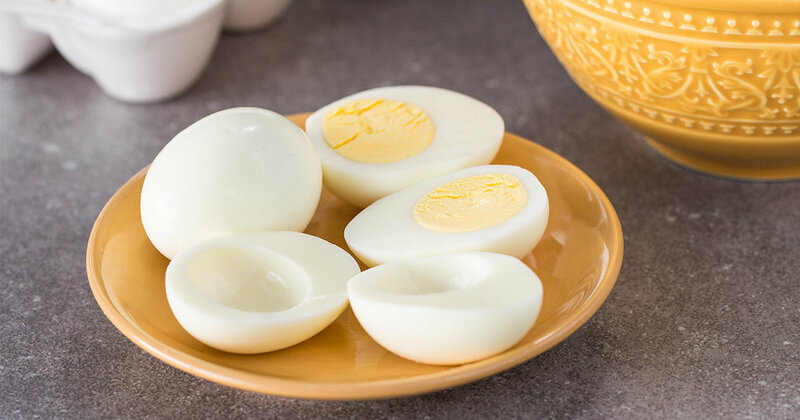 If you eat egg whites instead of consuming a whole egg, you can avoid a lot of extra cholesterol that can help you remain within these boundaries throughout the day. Vitamin and minerals. There is plenty of potassium, riboflavin (vitamin B12) and selenium besides of protein in egg whites. Potassium helps you maintain healthy balance of fluids in the body. Riboflavin helps you maintain the appearance and function of the nervous system. Selenium is an antioxidant that can help the body break down and dispose of free radicals that can cause damage to the body. Convenience. It is easy to prepare and transport egg whites. Those that have a busy morning schedule can quickly cook an egg white and pack it with fruit or whole grain crackers to create a healthy balanced breakfast. Packing egg whites in ice will allow you to bring along a quick healthy snack that you can consume after exercising, allowing you to encourage muscle growth and repair. Protein keeps you feeling fuller longer than carbohydrates, so if you eat two egg whites as a snack between meals, you are more likely to remain satisfied so you do not overeat.